In my last post in my Puberty and Growth Series, I explain the importance of calcium to help build strong bones for a lifetime. Big A, who is now 11, doesn’t particularly love dairy but will eat it in various foods. 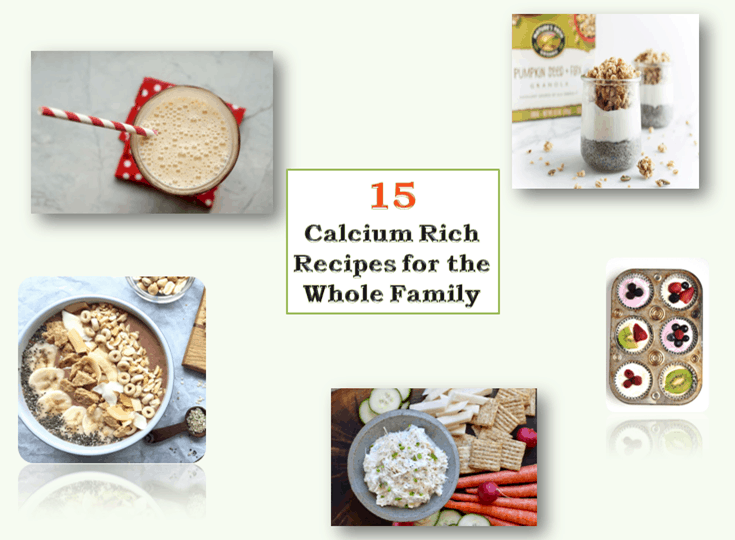 In order to get more ideas for calcium-rich meal and snacks, I reached out to my RD friends. While these are good ideas for growing kids, they can also be enjoyed by the whole family. 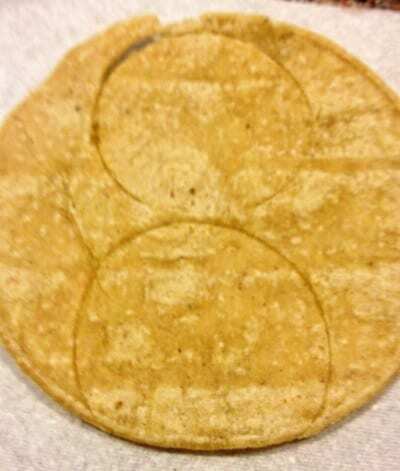 Just click on the link to get the recipe. Smoothies are a great way to add calcium sources like dairy, non-dairy calcium-fortified beverages, and greens. 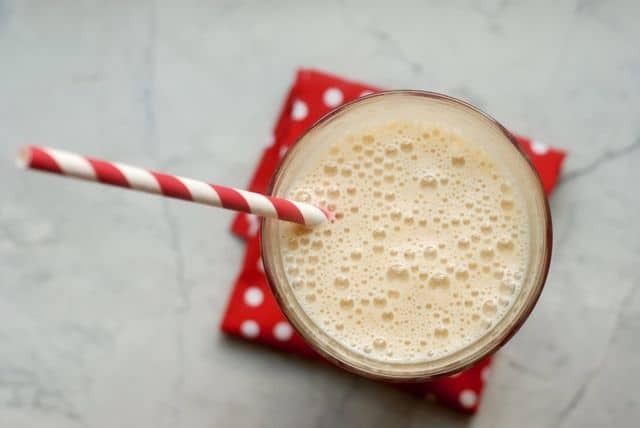 Sally from Real Mom Nutrition created a Peanut Butter Breakfast Shake that calls for pitted dates for a touch of sweetness. 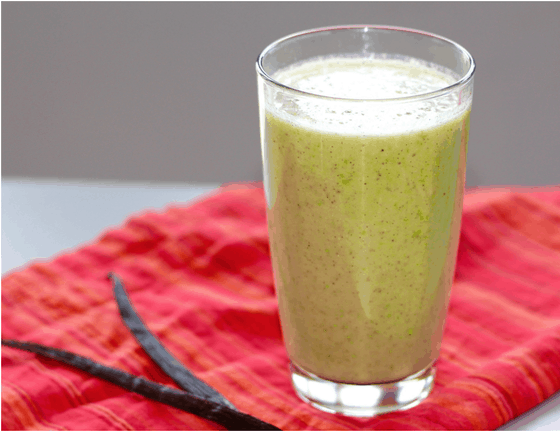 Amy Gorin shares her simple High Protein Vanilla Bean Smoothie that calls for vanilla bean, edamame, low-fat milk, and almond butter. Smoothies are great but have you tried Smoothie Bowls? 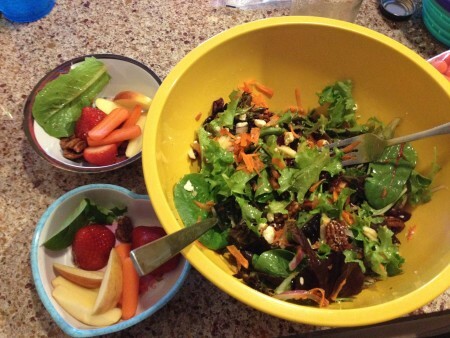 This is another tasty way to get more calcium and other nutritious foods as toppings. Peanut Butter and Banana Bowl: veteran dietitian Liz Weiss provides instructions on how to make a smoothie bowl. 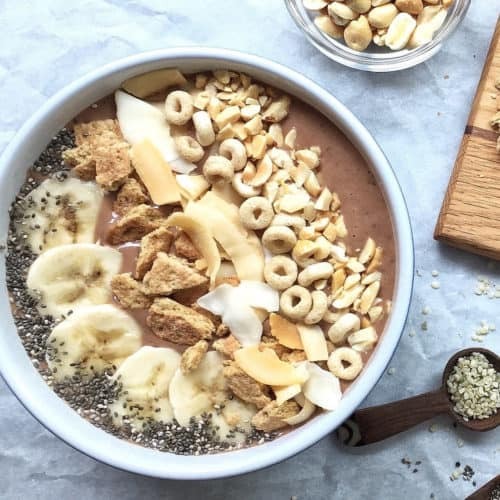 This featured smoothie bowl blends together a frozen banana, soymilk, cocoa powder, chia seeds, and peanut butter. 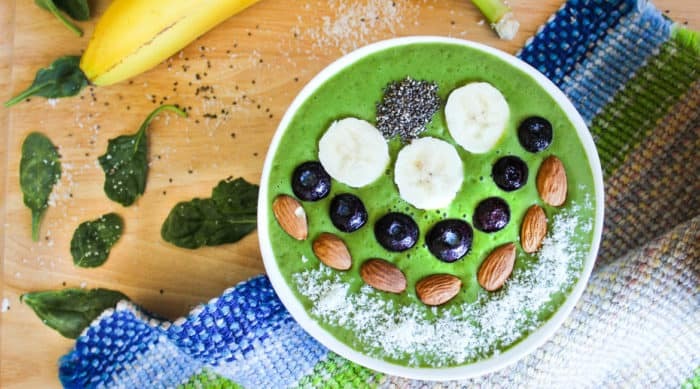 This Superfood Green Smoothie Bowl from Shahzadi Devje looks amazing and is filled with too many nutritious ingredients to list. Of course, yogurt by itself is a rich source of calcium but there are many ways to dress it up. Freezing yogurt is may work for children who don’t like the texture of yogurt or eat very little (like my daughter!). 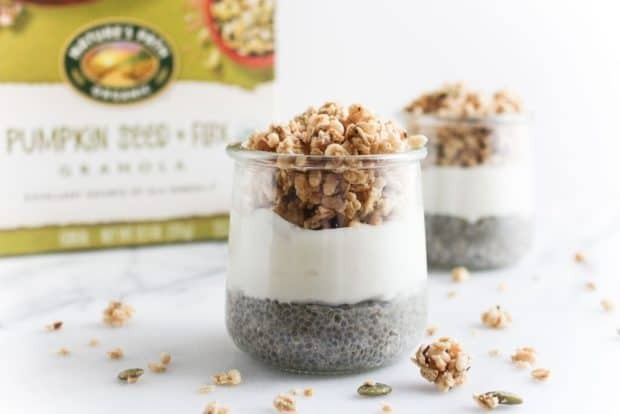 Julie at RD Delicious Kitchen shares her recipe for Vanilla Maple Yogurt Chia Parfait which includes vanilla Greek yogurt, almond milk, chia seeds, maple syrup and Nature Path’s Pumpkin + Flax Granola. 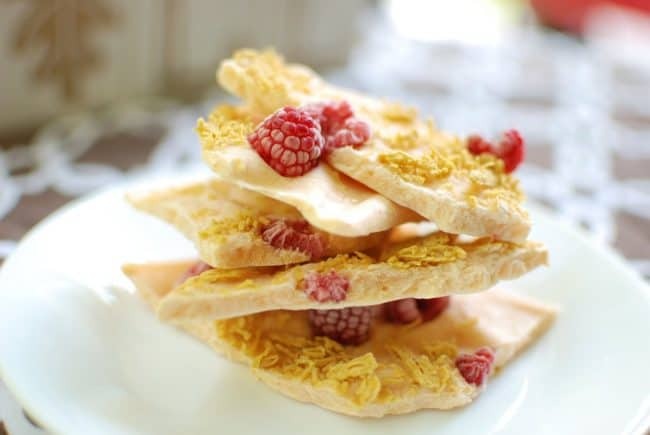 Here’s a simple recipe from Chrissy Carroll at Snacking in Sneakers: 4 Ingredient Pumpkin Greek Yogurt Bark. Another take on freezing yogurt from Amanda Hernandez at The Nutritionist Reviews. 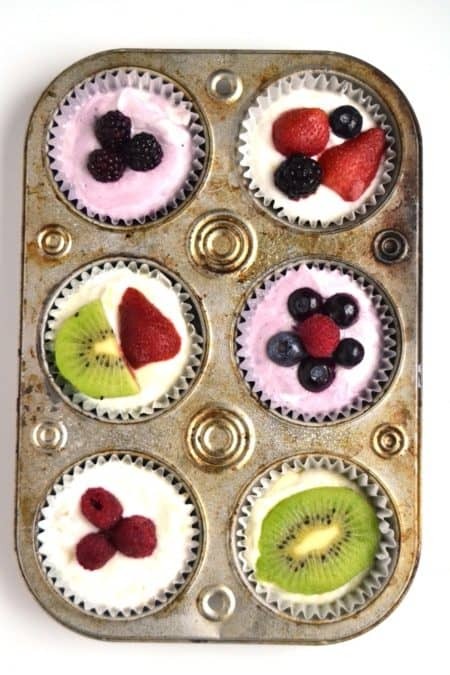 These Frozen Yogurt Fruit Cups are easy and look delicious. 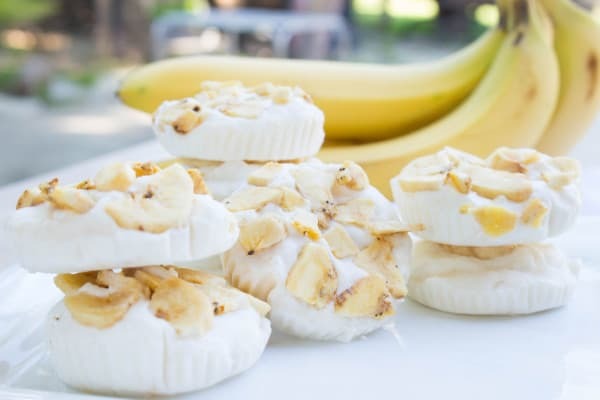 I can’t wait to try these 3-Ingredient Frozen Yogurt Banana Bites from Tawnie at Krolls Korner. Sometimes savory is where it’s at. Dips can be a significant source of calcium simply by substituting mayonnaise with yogurt. 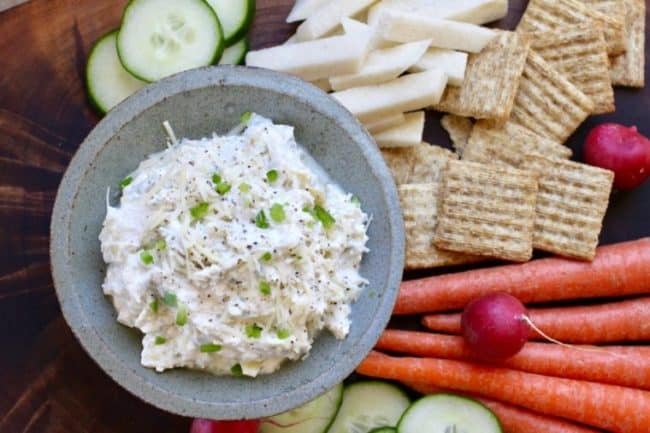 Judy from Live Best shares her recipe for Artichoke Jalapeno Dip which includes yogurt as its base ingredient. 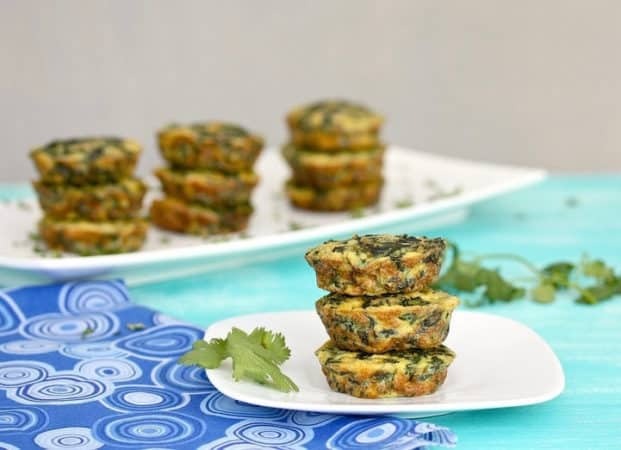 Another great recipe from Liz’s Healthy Table. This time it’s Veggie Quiche Patties with 25% DV for calcium. Overnight oats are all the rage. 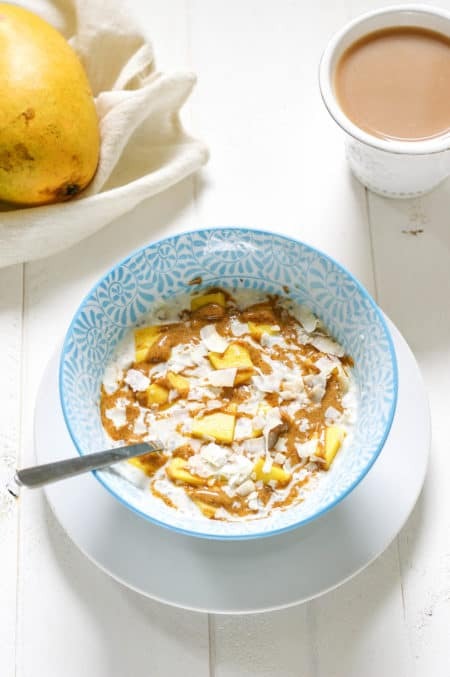 Try these Mango Coconut Overnight Oats from Chelsea’s Healthy Kitchen. Why not add yogurt sauce to pancakes? 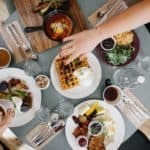 These Customizable Cinnamon Pancake Bites with Peanut Yogurt Sauce sound delicious. 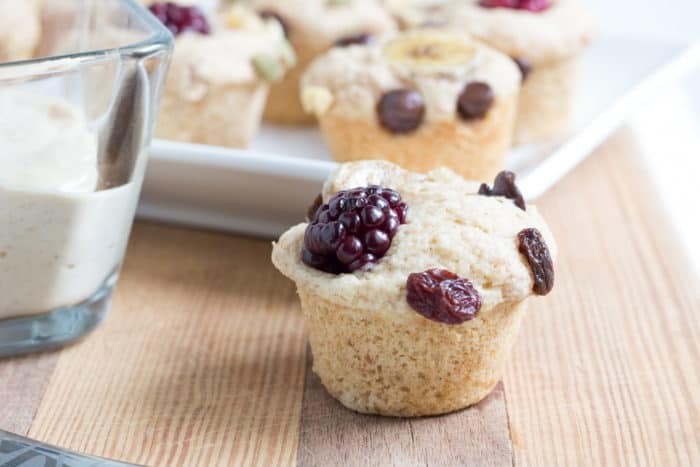 Recipe courtesy of Lauren Sharifi at Bite of Health Nutrition. While pancakes and waffles are popular with kids, why not try crepes that call for more milk than grains. Dessert is another time to up the calcium. 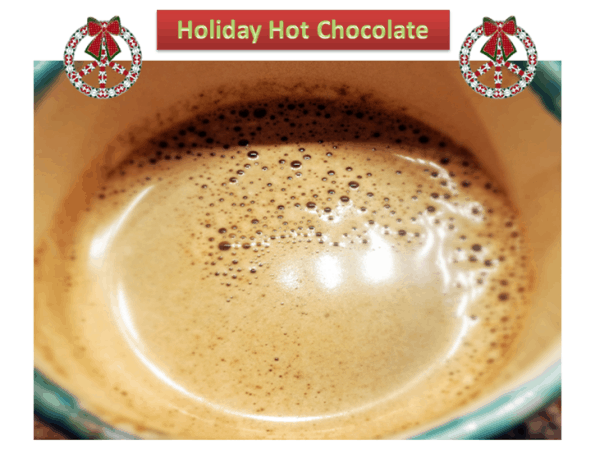 This time of year I like to make Holiday Hot Chocolate and Homemade Chocolate Pudding. Now it’s your turn. What is your favorite calcium-rich meal or snack idea?